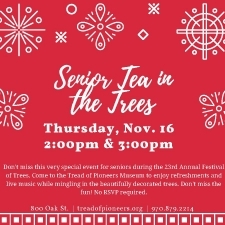 Don't miss this very special event for seniors during the 23rd Annual Festival of Trees. 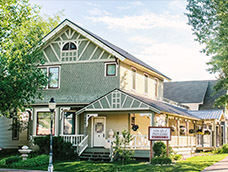 Come to the Tread of Pioneers Museum to enjoy refreshments and live music while mingling in the beautifully decorated trees. Don't miss the fun! No RSVP required.